Finnair is poised to enter the largest expansion in its history during the upcoming winter season. With its fast-connecting hub in Helsinki, Finnair offers one of the most reliable and convenient networks linking several key destinations in Europe with Asia and North America. Finnair’s growth strategy will be in full swing during the winter season with 20 intercontinental destinations, over 100 destinations in Europe and a significant increase in capacity for Lapland destinations. Finnair is opening new routes to Goa, India on November 1, to Puerto Vallarta, Mexico on November 5, to Puerto Plata, Dominican Republic on November 30 and to Havana, Cuba on December 1. Due to the continued increase in demand for Lapland as a tourist destination, Finnair is also heavily expanding its capacity to several Lapland airports for the upcoming winter season. 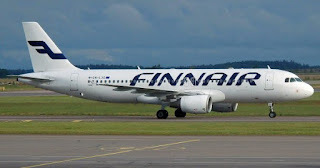 Finnair is the leading airline flying to Lapland with several weekly connections, and timetables designed to support smooth connections from Europe, Asia and North America. Finnair is increasing its capacity to Lapland by over 20%. As of mid-December, Finnair will start flying new non-stop flights to Lapland airports from London Gatwick, Paris and Zurich. Finnair is also increasing its capacity from Helsinki airport to several Lapland airports for the entire winter season, and offers a total of 430,000 seats to five of Lapland’s airports during the winter season.